At the ICE show, in London, earlier this year we caught up with some of the betting and gaming companies, during the course of the next few weeks we will be showcasing some of the companies that we met up with. Looking for innovative anti-fraud and risk management solutions for online payment services? Then look no further! ECommPay is a company with a passion for delivering simple, intelligent and secure solutions in the payment processing industries around the world. With offices in UK, Cyprus, Latvia, Belarus, Russia, Singapore and the Ukraine the company has been in operation since 2010, has 224 team members and is available 24/7. As a relatively young company they are constantly looking to find ways to transform the industry and to take the payment processing industry by storm. 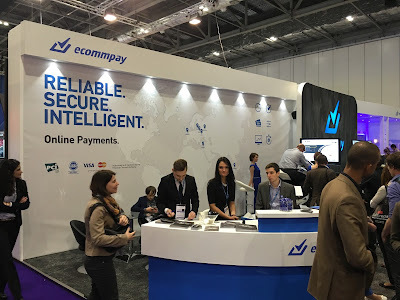 ECommPay is an authorised payment institution (API), which possesses a Financial Conduct Authority (FCA) license 607597 and certified under PCI DSS Level 1. ECommPay has both Visa and MasterCard Principal member status. Pursuing the fields of technology, payment processing, compliance and financial industries, ECommPay has a broad selection of products and services on offer. There are four main aspects of the company: Technology; Risk Management and Security; Online Payment Processing and Industries. TECHNOLOGY: - With cutting-edge solutions and up-to-date technology, ECommPay guarantees that they are at the forefront of the payment processing industry. They constantly meet and exceed industries standards through regularly developing new tools to ensure your business maintains its competitive edge. · Acquiring: Enabling e-Commerce merchants to provide a wide range of bankcard payment options to customers. ECommPay offers acquiring services to facilitate the settlement of online transactions. 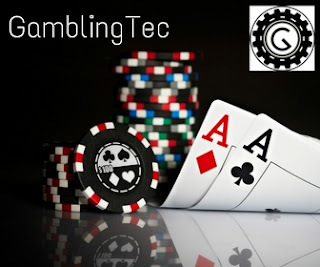 By using this service to conduct online business (gaming, retail etc), you will quickly be able to establish a simple procedure for accepting customer payments. · Payment Methods: There are over 100 payment systems with new ones being added regularly. Partnerships have also been established with a large range of global payment gateways eg. Ewallet; prepaid cards and mobile payment systems to name but a few. The usual tried-and-tested payment solutions like standard Visa, MasterCard, Maestro and China Union Pay are also available. ECommPay is able to equip your company with a full range of payment instruments which are incorporated into your website. · Multi-currency: ECommPay allows each client to choose the currency they wish to collect sales revenues in. All currency exchange calculations are transparent and available in your personal client interface. Due to currency exchange fees (that could prove to be costly to your business) ECommPay offers various payment methods for these fees. The client determines who will pay the currency exchange fee. · Multilingual: ECommPay is currently available in 10 different languages and cooperates with customers all over the world. · Conversion+ Payment Page: This page is specifically set up to each individual client’s business and website. ECommPay’s “conversion+” payment page utilises more than twenty visual cues to guarantee a 15 – 45% increase in customer retention as well as increasing conversion rates of any e-Commerce merchant. · Customer Payment Page: Creating a secure payment page for your company’s website can be extremely expensive and difficult. ECommPay will take care of this for you by creating and ensuring all payment pages and processes are external to your website and therefore the expensive data security is not your responsibility. This saves you a great deal of time and money as there is no need for additional software or security measures. Your expenses are thus kept to a minimum. · Flexible API: If you would prefer a payment platform of your own, ECommPay will provide you with an affordable and easy to integrate Application Programming Interface (API). 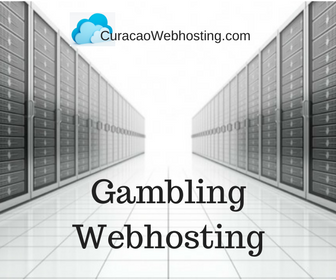 For the implementation of any payment task as well as the creation of a secure payment application to your website. A certificate of compliance with PCI DSS will be required. · Merchant Back Office: This will allow you to securely generate detailed reports, view real-time information about payments and have access to all sales and payment statistics as well as financial flows. · Payouts: You will be able to access a wide range of payment instructions. With ECommPay you can receive profits and pay compensation to your customers using bank and payment cards. Pay-outs are done on time and in a convenient and secure manner. RISK MANAGEMENT AND SECURITY: - The internet shopping online is fast becoming extremely popular. ECommPay offers a great Risk Management and Security solution for your Company. This option will provide you with the advantage in knowing the difference between a legitimate customer and a criminal. · Fraud Stop: Fraud stop instantly checks at least 7 factors to authenticate the customer, the payment card and the customers bank account. Over and above the powerful automatic authentication process, ECommPay provides a further check by examining any suspicious transactions manually. · Managed Risk Service: By manual monitoring of suspicious payments ECommPay provides all necessary recommendations for the optimisation of all payment processes thereby ensuring the risk of disputed payments are reduced to a minimum. · Disputed Payments and Chargebacks: Disputed payments (chargebacks) are the process of cancellation of a customer’s card transaction payment. ECommPay provides full chargeback process support and responds immediately to any incident on your behalf. ONLINE PAYMENT PROCESSING: - The online payment processing options available from ECommPay can be adjusted according to the needs of your company. With the above options available you are guaranteed to find the correct product for your company. INDUSTRIES: - ECommPay’s payment specialists have accumulated considerable experience and expertise in various e-Com industries and sectors, providing bespoke payment solutions to companies worldwide.